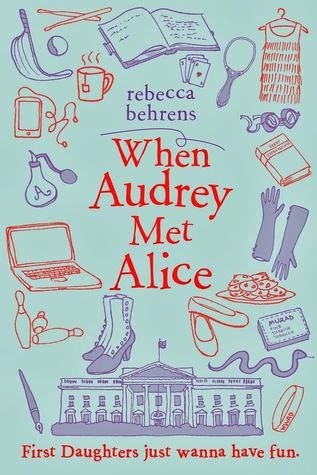 Rebecca Behren's new book, When Audrey Met Alice, is a fun story about what happens when a current first daughter discovers the diary of famous first daughter Alice Roosevelt. It will be out on February 4th, and to celebrate the release, Rebecca Behrens is on the blog today to tell us a little bit about the research she conducted for the novel! Alice Roosevelt was into yoga. She told an interviewer that as a young person she “could always do yoga and pop my leg behind my head and things like that,” but that she was jealous of her friend Nancy Astor, who could turn cartwheels. In one scene in When Audrey Met Alice, Audrey makes an “unapproved” fashion choice for a State dinner. Chelsea Clinton pulled a similar move for President Bill Clinton’s second inauguration in 1997—she hid a too-short skirt under her coat, and First Lady Hillary Clinton didn’t figure it out until it was too late for Chelsea to change. Susan Ford once stirred up controversy by wearing jeans inside the White House (how times have changed!). Alice Roosevelt’s infamous pet snake, Emily Spinach, died under mysterious circumstances. After rumors that exaggerated Emily’s size started circulating, Alice came home to find her snake dead in its box. She was convinced that it was not of natural causes. The Roosevelt pets included not only Emily Spinach the snake and Eli Yale the macaw, but a badger (named Josiah), a pig (named Maude), and a bear (named Jonathan Edwards). Speaking of pets, Caroline Kennedy liked to ride her pony, Macaroni, on the South Lawn. When Alice was traveling on a diplomatic tour of Asia, she famously jumped into the ship’s swimming pool, fully clothed.Susan Ford and the Bush twins, Jenna and Barbara, all successfully managed to ditch their security details while living in the White House. Susan Ford accomplished this by jumping in a car and speeding out of the White House driveway when the gate was briefly open for her mother to drive in. She picked up a friend and drove around until they had to come home—because the Secret Service had her concert tickets for that night. Amy Carter had a tree house on the South Lawn; today there is an official White House Jungle Gym. Rebecca Behrens grew up in Wisconsin, studied in Chicago, and now lives with her husband in New York City, where she works as a production editor for children’s books. 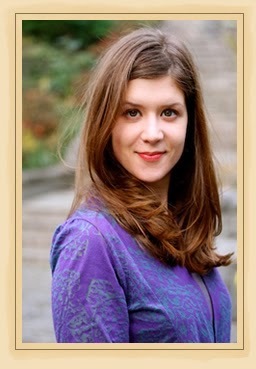 Rebecca loves writing and reading about girls full of moxie and places full of history. When she’s not writing, you can find her running in the park, reading on the beach, or eating a doughnut. Visit her online at www.rebeccabehrens.com.